The CMS is drafting a proposed rule that would make it easier for states to stop paying for non-emergent medical transportation for Medicaid beneficiaries, a move that could drastically cut into providers' revenue. While details of the potential rulemaking are scarce, a notice on the White House's Office of Management and Budget website said the regulation is projected to be released in May 2019. Just the suggestion that states could cut Medicaid transportation to medical appointments already has providers on edge. Annual Medicaid spending for these trips is around $3 billion, with roughly 103 million non-emergent medical trips each year, according to researchers. Medicaid enrollees already have a high no-show rate, and that could get worse if the CMS finalizes the rule, according to Dr. Theresa Rohr-Kirchgraber, a practicing pediatrician in Indianapolis and associate professor of clinical internal medicine and pediatrics at Indiana University. Many Medicaid enrollees lack access to vehicles due to their low incomes. There are also few public transportation options in Indiana, especially in rural areas, Rohr-Kirchgraber said. "Our feet are really held to the fire that we have high productivity in terms of the number of patients we have to see," she said. "We're the ones that are making the money for our institutions, and we can't we can't afford to keep our doors open if we can't get our patients in." Currently, states have to obtain a waiver from the CMS if they don't offer non-emergent transportation services. The Trump administration first floated the idea of changing that policy earlier this year in its 2019 budget proposals. Non-emergent transport to medical appointments has been a mandatory Medicaid benefit since the program's inception in 1965. Iowa and Indiana are the only states with a waiver to opt out of providing transportation. Kentucky and Massachusetts have both asked the CMS for similar permission. It's unclear whether patients' health declines if Medicaid doesn't pay for rides to medical care. A February 2016 report from the Lewin Group said the impact of the transportation benefit waiver in Indiana has been minimal. Most beneficiaries could find other forms of transportation not paid for by Medicaid. Of the 286 beneficiaries interviewed, 11% cited lack of transportation as their reason for missing appointments. A report from Iowa had similar findings. But the Medical Transportation Access Coalition, a group made up of advocates, transportation providers and managed-care plans, noted that these waivers largely targeted adults who became eligible under Medicaid expansion and had not previously relied on the non-emergency transportation benefit. The group insists that making it easier for states to opt out of offering these services will harm access to care. Medicaid enrollees regularly use the benefit to get to dialysis, substance abuse treatments and chronic care visits for diabetes. A survey of Medicaid enrollees last summer by the coalition revealed that low-income patients found it critical to their day-to-day lives. "Over half the trips taken today are for life-sustaining treatments," said Tricia Beckmann, a director at Faegre Baker Daniels and adviser to the coalition. "Some said that they would die or probably die if they didn't have transportation." 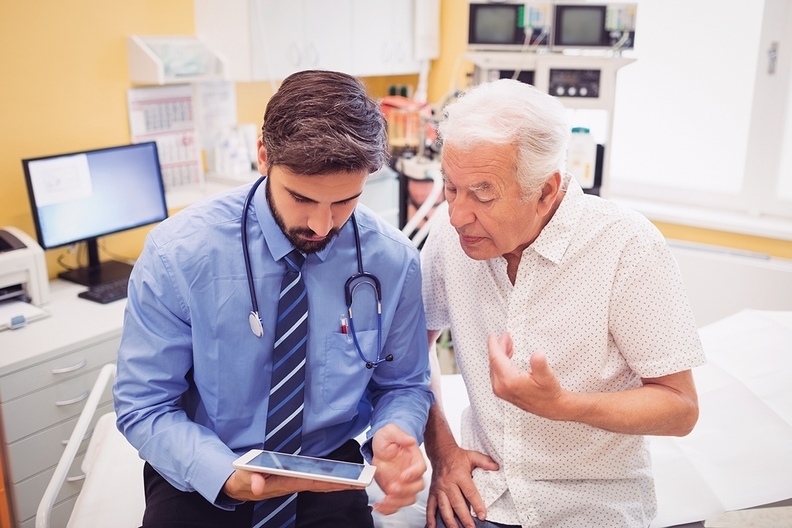 Medicaid saved more than $40 million in hospitalization and other medical costs for patients receiving rides to dialysis and wound care treatments, according to a report by the coalition. It's unclear if the CMS has the authority to make this change to transportation benefits, according to Eliot Fishman, who oversaw 1115 waivers under the Obama administration and is now senior director of health policy at Families USA. "Making NEMT optional hasn't been tested in court," Fishman said. "If the administration goes in that direction, I expect there will be a legal challenge." The CMS does not comment on pending rulemakings, according to a spokesman.